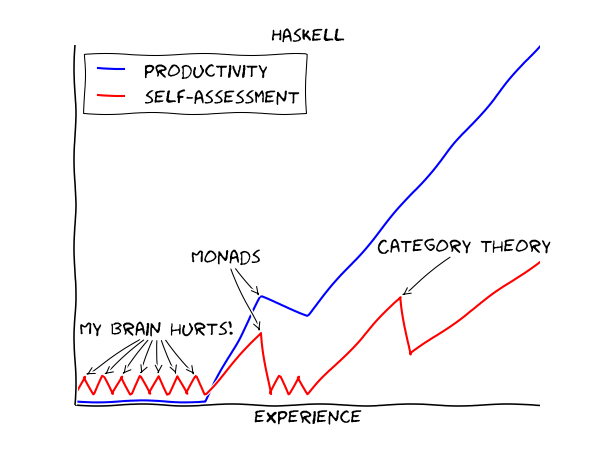 There are dozens of really great Haskell tutorials, which teach functional thinking, haskell syntax, type theory. I repeat, they’re great. And you can spend hours playing with functional concepts, types et cetera, even when you’ve gone through only a small subset of the language.